Some of us do a considerable amount of traveling during the holiday break. This was a discussion topic in fact during my daily walk-about this morning. The classroom leader asked about the distances each child travels to visit with family or friends; you would be amazed at some of the answers! Her learners are graphing their results to share, which brings me to our Christmas Question today: What is the furthest distance you or a family member has traveled to make a holiday gathering with others? 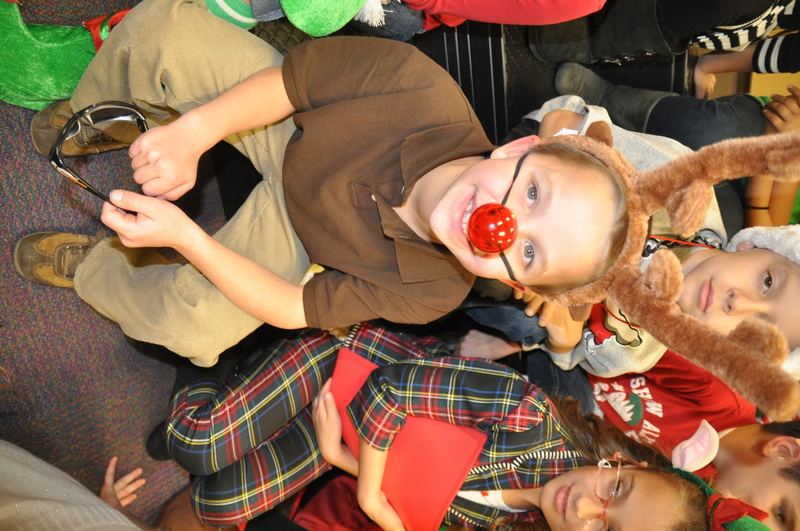 My friend, Rudolph (Camden), talked about traveling long distances during the third grade musical last week and how he needed his “sustenance to make the important annual trip with Santa.” He actively demonstrated the best reindeer food (during a commercial break) for the live audience as well! A learner this morning remembered watching Camden last week and made note of Santa’s long distance journey (which then started another discussion about how many miles it takes to travel the Earth) . . . .